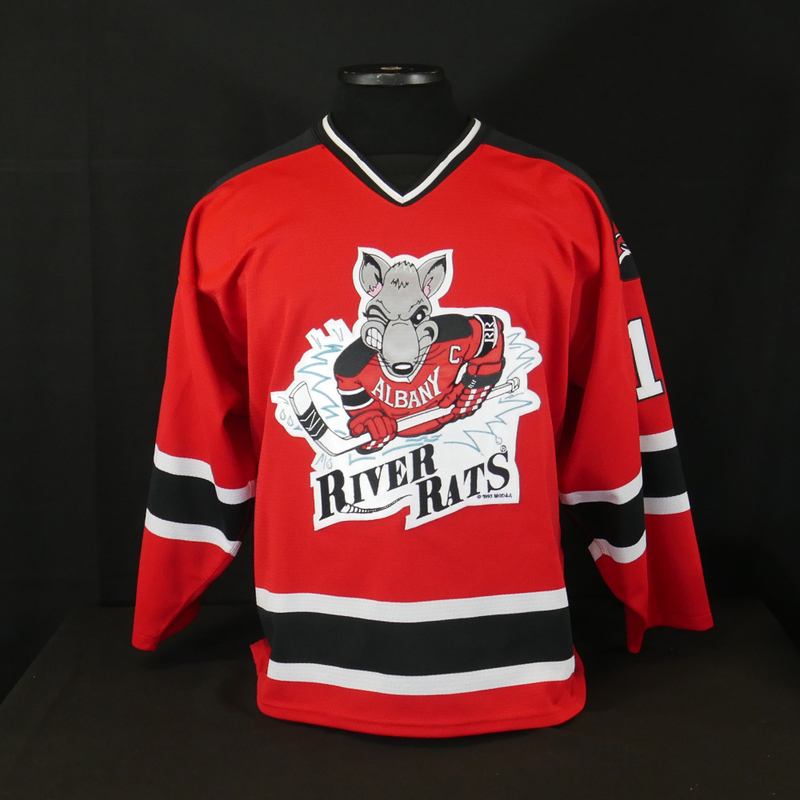 RIVER RATS JERSEY worn by SAM KURKER during the Albany Devils game on March 25, 2017. 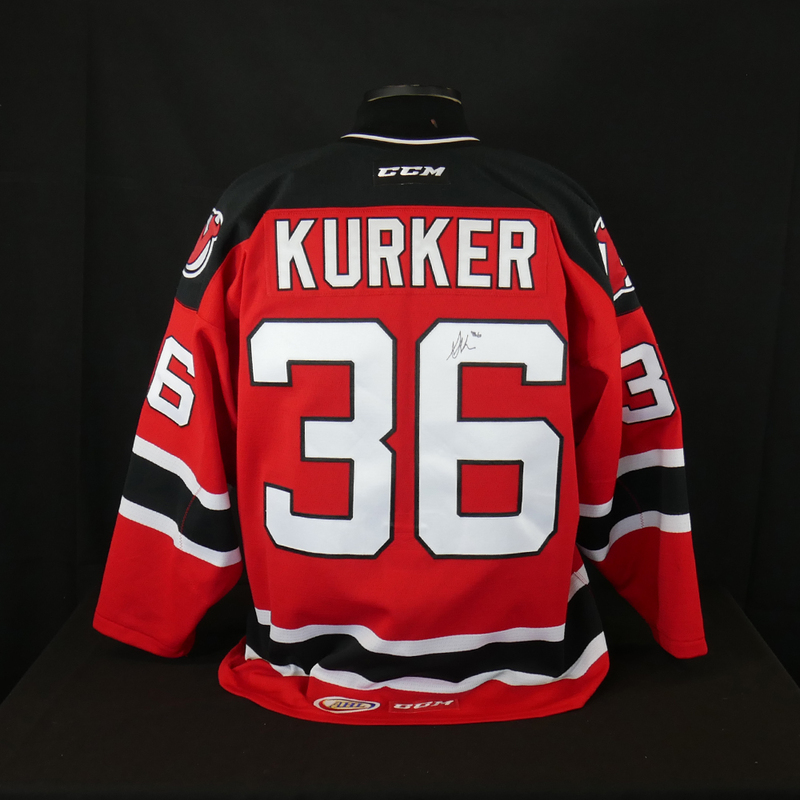 The jersey is autographed by the player and comes with a Certificate of Authenticity (COA). 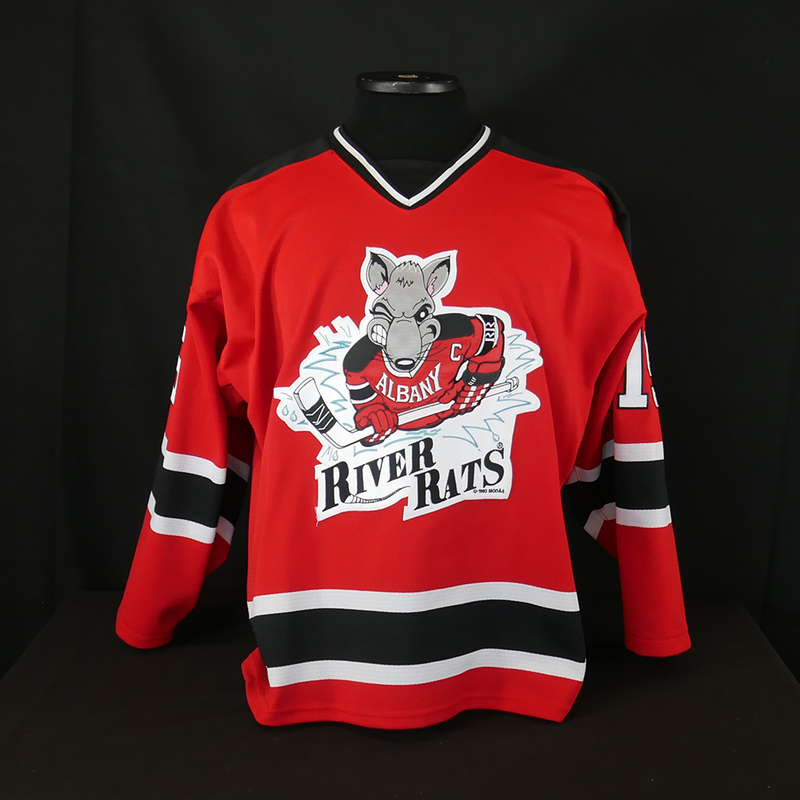 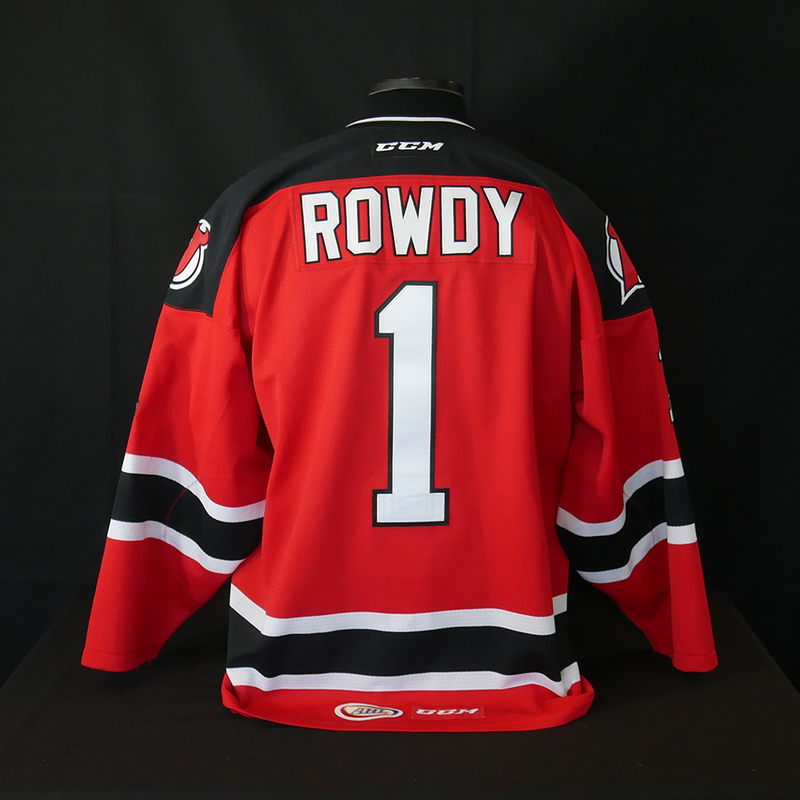 RIVER RATS JERSEY worn by ROD PELLEY during the Albany Devils game on November 26, 2016 and March 25, 2017. 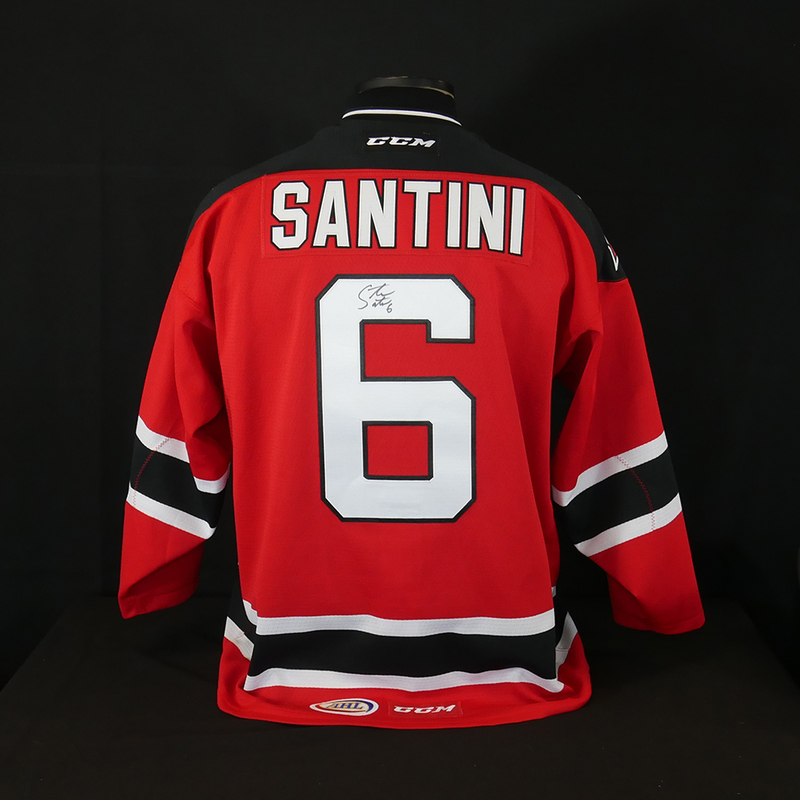 The jersey is autographed by the player and comes with a Certificate of Authenticity (COA). 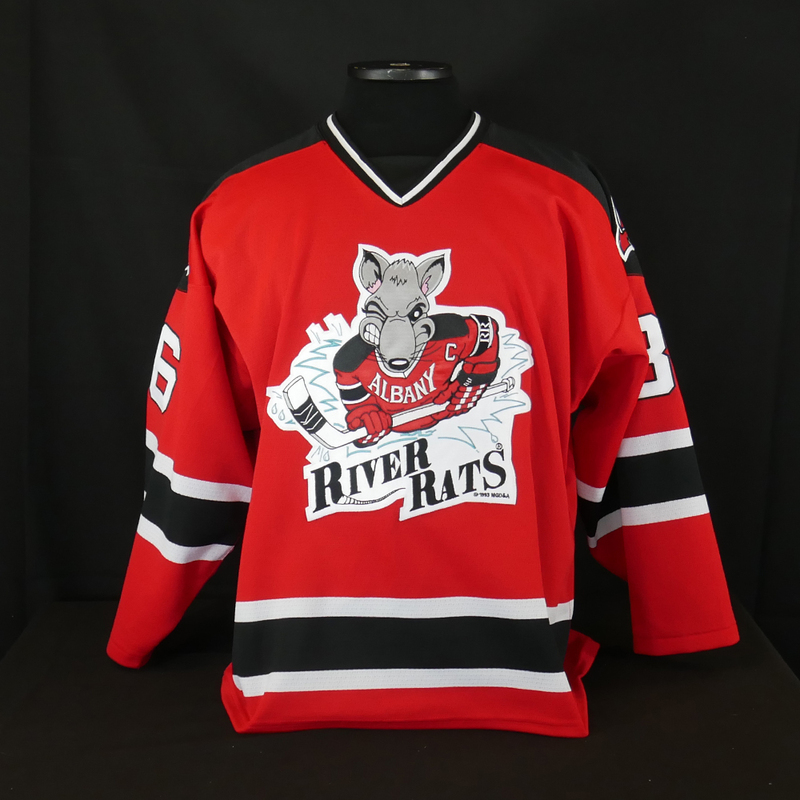 RIVER RATS JERSEY worn by River Rats mascot ROWDY during the Albany Devils games on November 26, 2016 and March 25, 2017. 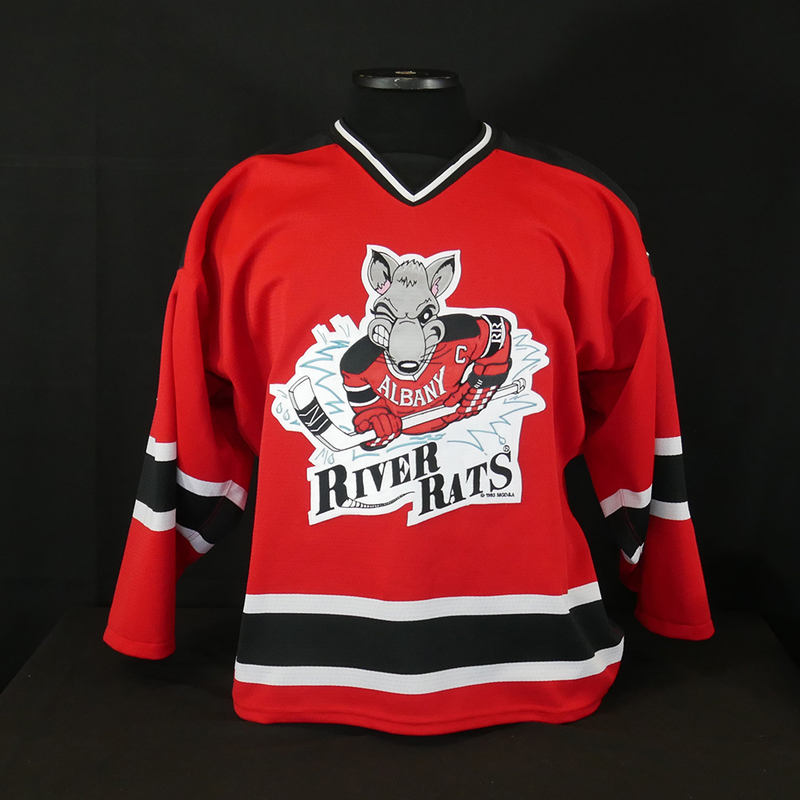 RIVER RATS JERSEY worn by Albany Devils mascot DEVIL DAWG during the Albany Devils games on November 26, 2016 and March 25, 2017. 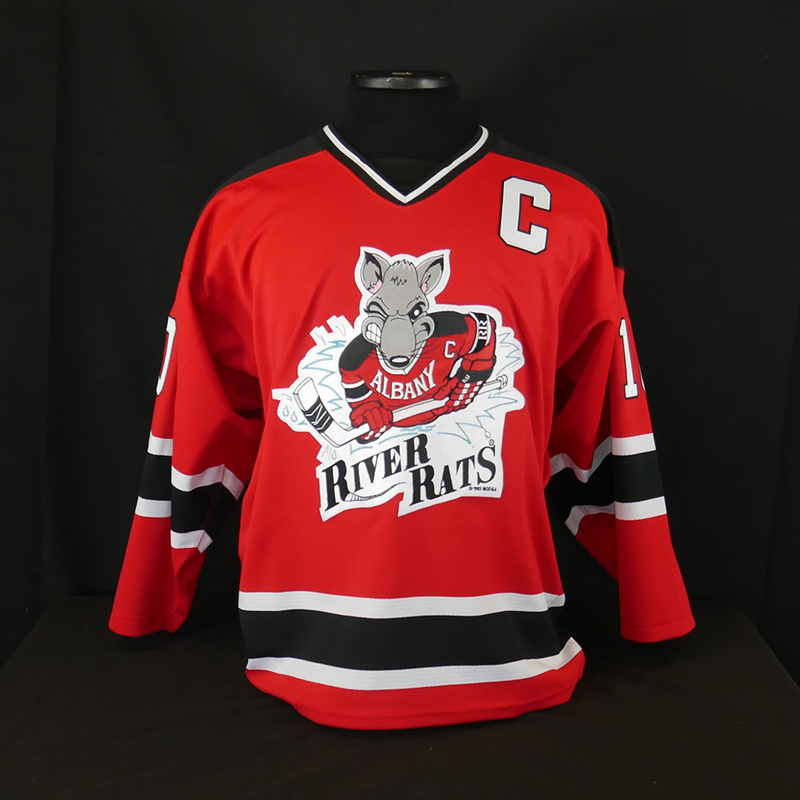 RIVER RATS JERSEY worn by BLAKE COLEMAN during the Albany Devils game on November 26, 2016. 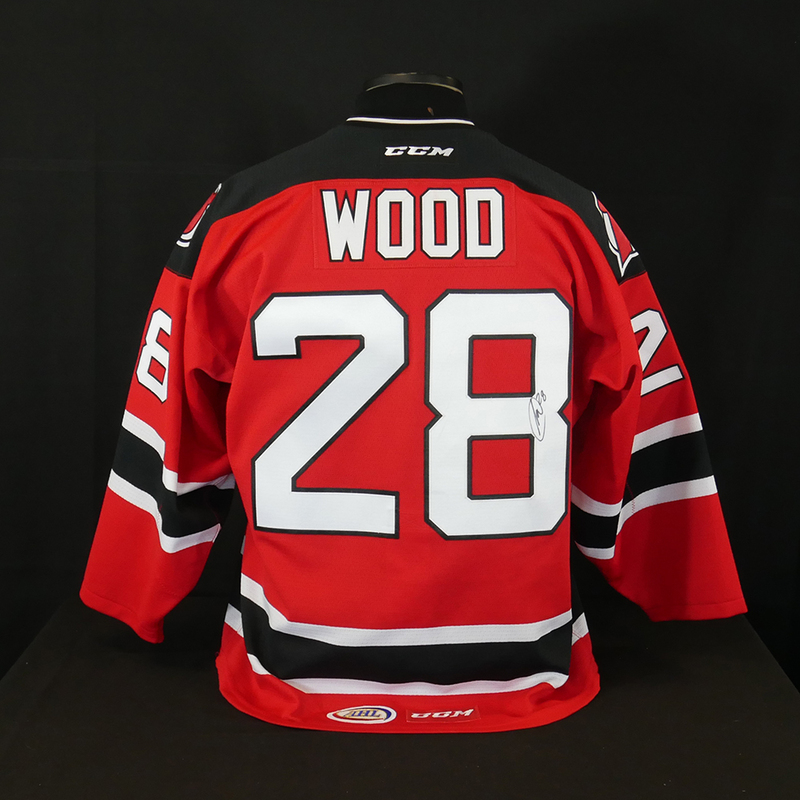 The jersey is autographed by the player and comes with a Certificate of Authenticity (COA). 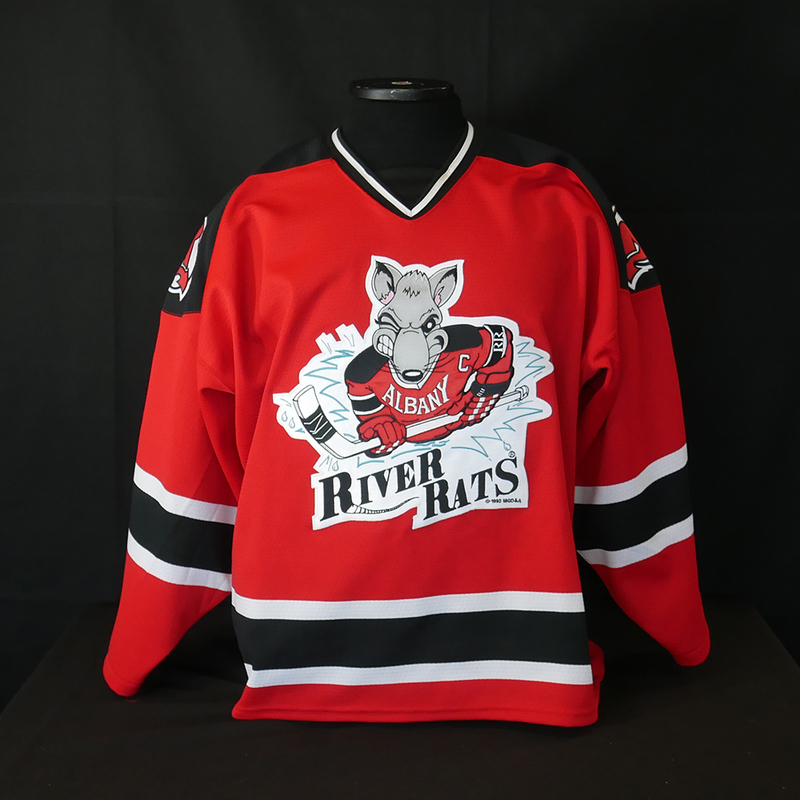 RIVER RATS JERSEY worn by JOHN QUENNEVILLE during the Albany Devils game on November 26, 2016. 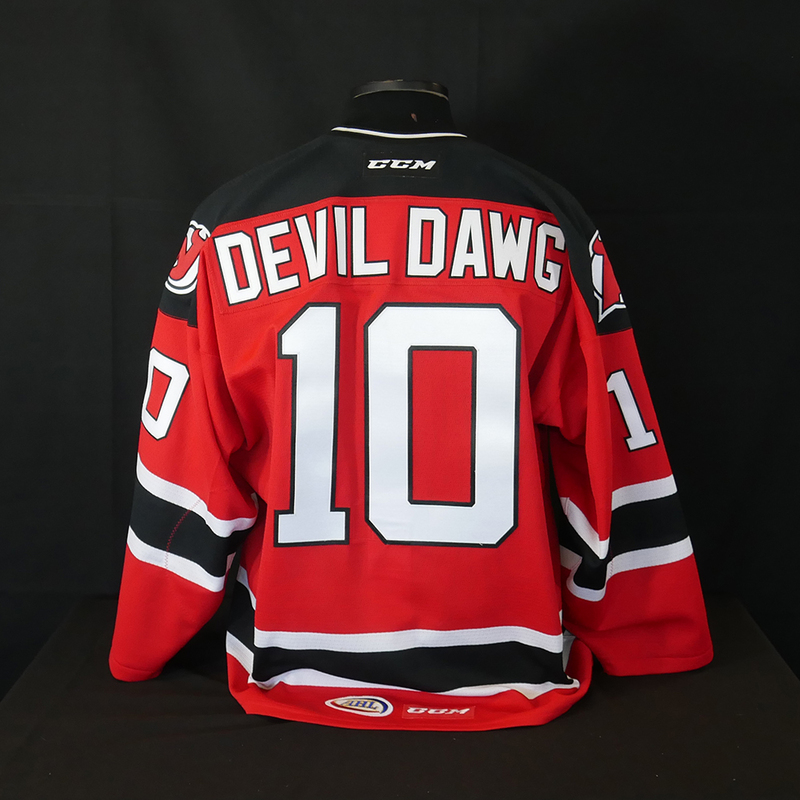 The jersey is autographed by the player and comes with a Certificate of Authenticity (COA). 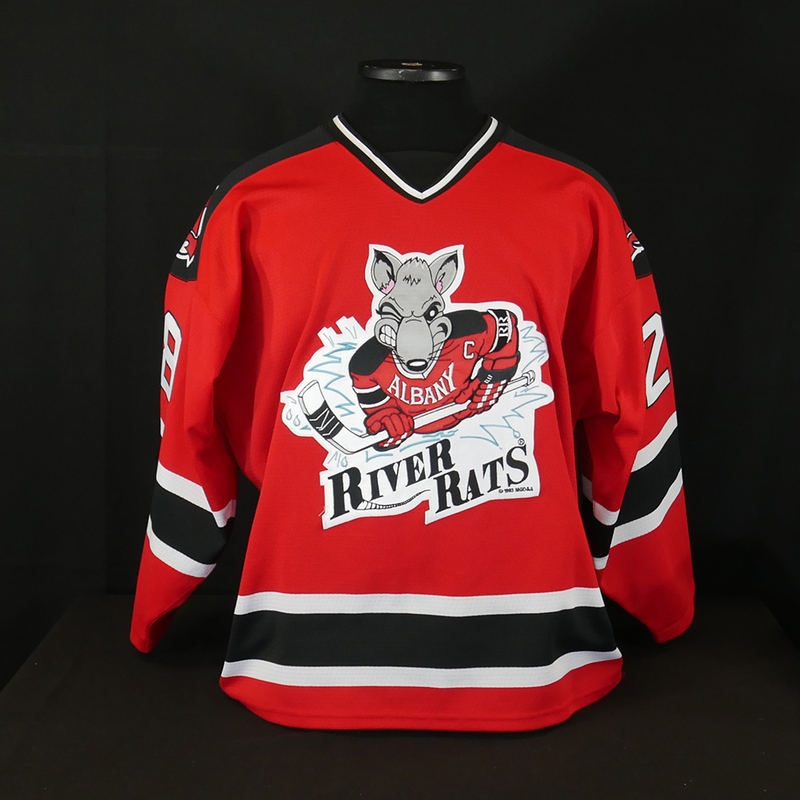 RIVER RATS JERSEY worn by STEVEN SANTINI during the Albany Devils game on November 26, 2016. 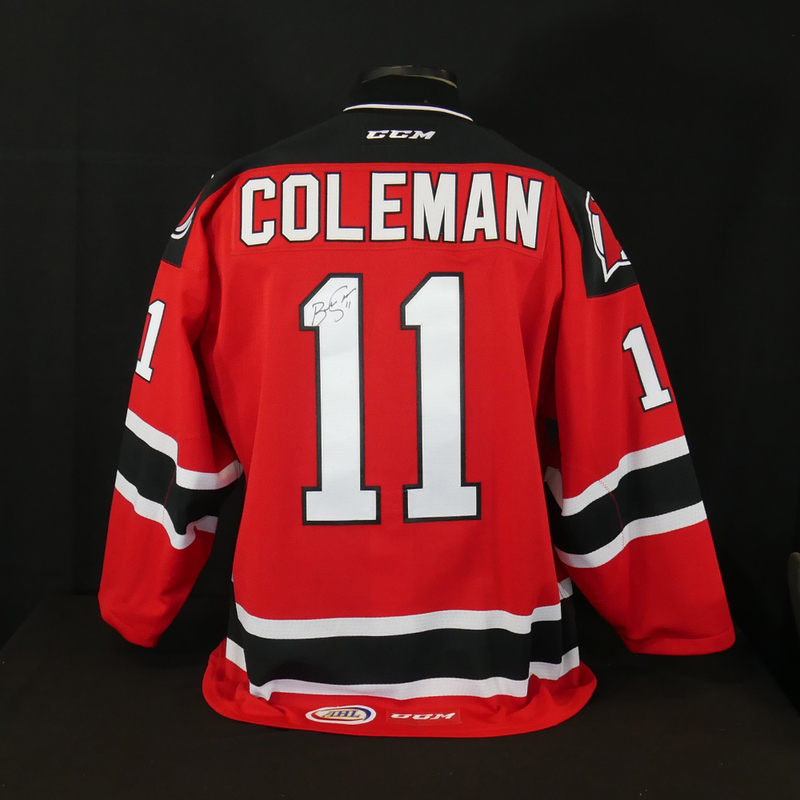 The jersey is autographed by the player and comes with a Certificate of Authenticity (COA). 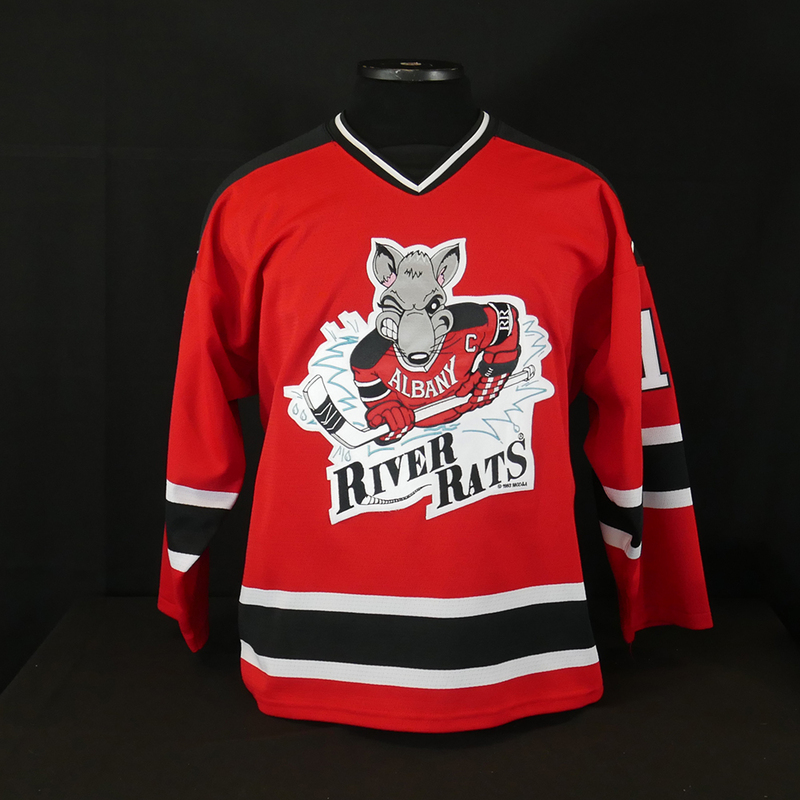 RIVER RATS JERSEY worn by MILES WOOD during the Albany Devils game on November 26, 2016. 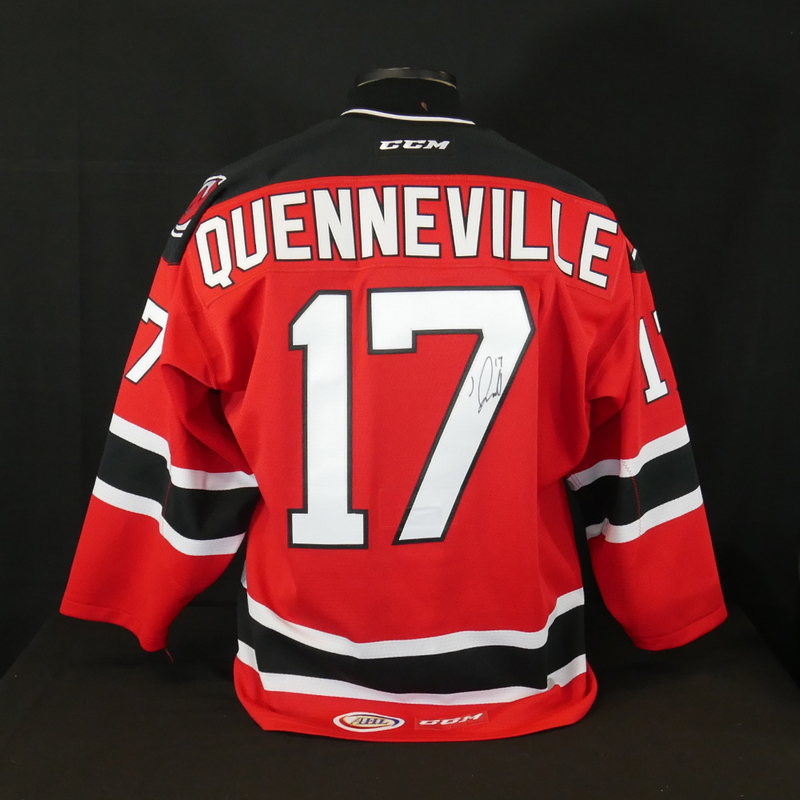 The jersey is autographed by the player and comes with a Certificate of Authenticity (COA). 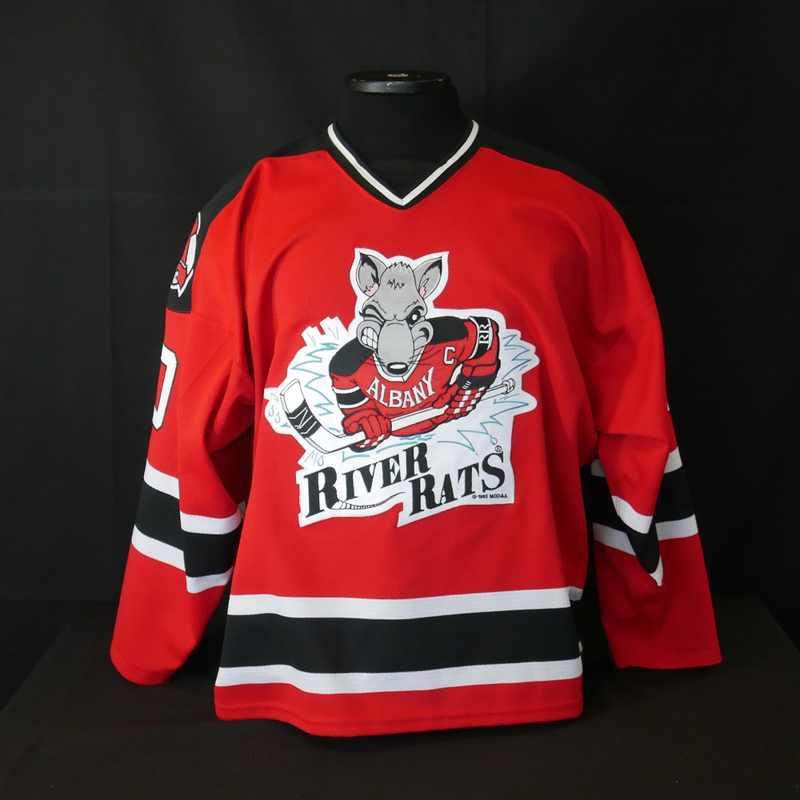 RIVER RATS JERSEY worn by JAN MANDAT during the Albany Devils game on March 25, 2017. 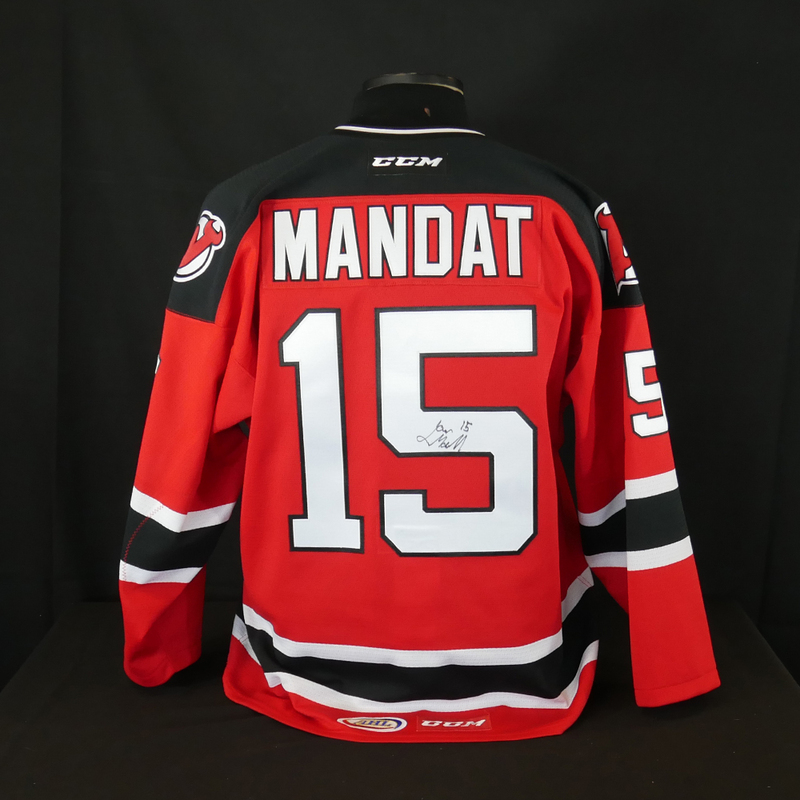 The jersey is autographed by the player and comes with a Certificate of Authenticity (COA).